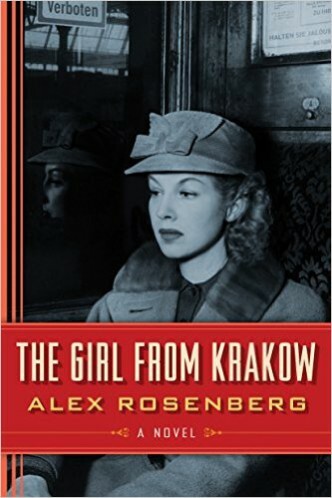 Alex Rosenberg’s first fiction book The Girl from Krakow will be officially released on September 1 by Lake Union. The novel was included in Kindle First program and already is receiving some reviews. “An Epic Saga”, “Outstanding”, “Not just another holocaust novel,” are just few of the readers’ opinions. 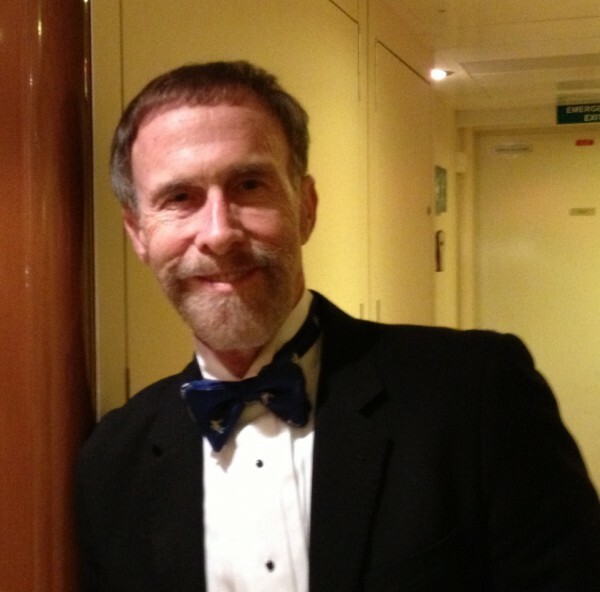 We are happy to present at Land of books our next guest, the professor of philosophy at Duke University – Alex Rosenberg. – Alex, what is your book The Girl from Krakow about? – The Girl From Krakow is a historical novel that traces the experiences of a young woman named Rita Feuerstahl from 1935 in Krakow, Poland through the 30s and the war, as she struggles to survive in Nazi-occupied Poland and then in Germany, under false identity. Rita’s trajectory is intertwined with her lover’s, whose experiences take him from France in the 30s to Spain in the Civil War finally to Stalin’s Moscow under German assault. Soon after the war begins Rita learns a secret so important it gives her the will to survive but would lose the allies the war against the Nazis were she forced to disclose it. – The story is loosely based on the experiences of four people I knew personally, who survived the war. I have combined some of their experiences and added plot elements that drive the narrative. But throughout the process I was motivated by the knowledge that these were people whose stories needed to be told. – I think the biggest challenge is setting the framework, the times and the forces that shaped the experiences of people in the period from 1935 to 1947 when the narrative is set. 21st century readers, even ones as interested in history as me, need stage setting to understand what happens to my characters. Doing that in a way that’s accurate and interesting is hard. Accuracy was easy. Accessibility was more difficult. But I had great help from my agent, and my editor. – Tell us something more about your main character Rita? Is she close to someone from your real life? – Rita Feuerstahl’s pathway from Krakow in 1935 to Salzburg in 1947 is loosely based on what happened to my mother, Blanca Rosenberg. Anyone interested in the differences, of which there are many, can consult her memoir, To Tell at Last, published in 1992 by the University of Illinois Press. Her true story is no less dramatic from Rita’s, though it is different in crucial respects. There is another difference between them. The way Rita responds to the vicissitudes she faced and the way my mother did are quite different. But both are strong survivors! – The Girl from Krakow is your first novel. Why you decide to start writing fiction so late? – I’ve written a lot of academic books. A few years ago I wrote a popular trade book. I was gratified by its reception, but felt that important parts of that book hadn’t been understood by many of its readers. In particular that book’s attack on the power of narrative to convey real understanding was missed by most reviewers and readers. It’s ironic but I realized that the only way to make that point was to write a narrative that argued for it indirectly. That book was entitled The Atheist’s Guide to Reality, but it wasn’t so much about atheism as about how science can help answer the philosophical questions that bother all of us. The girl from Krakow began as an attempt to put some of the difficult arguments of The Atheist’s Guide to Reality into a form easier to grasp. But pretty soon the challenge and the pleasure of writing historical fiction took over. You’ll still find the ghost of The Atheist’s Guide in The Girl from Krakow, but not as much as there once was. Writing fiction is so rewarding I’ve already written another novel. – It took three years and umpteen drafts to shape The Girl from Krakow. Fiction needs a lot more revision, and editing that academic prose or even popular non-fiction. From the time an agent became interested in representing the book, it didn’t take long to find a publisher. – What the readers will find in your most popular book The Atheist’s Guide to Reality? – That book is a guide to answering the most troubling of our philosophical questions by the resources of science. Figuring out the nature of reality, the purpose of the universe, the meaning of life, the foundations of morality, the relation of the mind to the body, whether we have free will, isn’t really hard. All it takes is a grasp of the parts of natural science that haven’t been in dispute for a century or so. – I’m a professor of philosophy with a deep interest in history in spite of my belief that no matter how deep our knowledge of the past it cant tell us much about the future. I am profoundly influenced by Darwin and the take on things that emerge from a close study of his work and that of his most creative and ingenious successors. – I love writing and I hate it. Before sitting down to the computer I procrastinate terribly. I do everything I can to avoid writing.. including the dishes, the laundry, my income tax, and exercise. But then when I start it’s hard to stop… and once I have written enough to begin to reread and revise, its really enjoyable. Can spend three or four hours at it and not notice the time go by. But of course like all authors a lot of what I produce during those stretches is trash. – Are you satisfied by the sales of your books? – When we will see your next novel and would you unveil something more about it? – My next novel is set in the late 1950s in Oxford and London, with flashbacks to the late 30s and the 40s in New York and the US Army in World War Two. It’s the story of a prize-winning history professor who is blacklisted in the United States and moves to Britain. There he is framed for murder. Two women–his lover and his solicitor—begin to attempt to free him and find themselves caught in an espionage web that involves the Russians, British MI5 and J. Edgar Hoover. The novel is scrupulous about a number of real people and actual events that actually occurred in that period. So it’s as much a historical novel and a murder mystery. I’ve finished a third draft, and my agent is about to tell me how bad it is. Then I’ll get to work on improving it. So, it may be at least a few years before its out…if it ever is. – As a professor of philosophy at Duke University what are your observations of your students’ most preferable genre of literature? – I really have no idea, but I suspect that like most other people, their favorite books are vampire novels in multiple volume series. – If you may ask yourself one question in the interview what it will be? Posted on August 8, 2015, in Author, Books, Interview and tagged Alex Rosenburg, author, book, Duke, The Atheist's Guide to Reality, The Girl from Krakow. Bookmark the permalink. 2 Comments. I very much enjoyed your book. I have read and continue to read countless books regarding the Holocaust and wars dating back to the Revolutionary War. Some fictional some non-fictional. I also have taken many classes pertaining to History. I am a Christian. However, my faith runs deep with humanity. What happened during the Holocaust was as inhumane, and barbaric as it gets. All wars are bad, the Holocaust was beyond bad. There are no words to describe how bad. You are correct in writing,however, that it is Darwin’s Theory that war-death-survival-war-death-survival, etc,. is life. The smartest, strongest humans survive. War has raged for thousands of years, look at what is happening now. The kindest people turn to killing animals only to become normal once the war is over…but not mentally. It takes a toll and eventually catches up. I have lived in Europe and visited the concentration camps. My prayer is that there is NEVER another war as bad as that. I write this because I care. I write this because I want for others to never forget. Unfortunately, I am a 51 yr. old female no longer working. (I used to teach Special Ed) I am now a 24/7 caretaker for my 82 year old mother. I left my home, family, friends and job behind in Michigan. I now live on Lake Norman,NC. Though taking care of my mother here at the lake allows me beautiful views and plenty of reading time, I miss my students and taking classes to advance my education. In closing, I want to thank you for writing and excellent and compelling novel.